Stuttgart, DE: SmartEnCity is one of 14 smart city projects funded under the European Union’s Horizon 2020 Research and Innovation Programme. Under the coordination of Fundación TECNALIA Research & Innovation, 37 partners from six countries are working together on making Smart Zero Carbon Cities a reality in Europe. Innovative solutions are implemented in the three Lighthouse Cities Vitoria-Gasteiz (Spain), Tartu (Estonia) and Sonderborg (Denmark) and then replicated in the two Follower Cities Lecce (Italy) and Asenovgrad (Bulgaria). Having been launched in 2016, SmartEnCity is approaching the end of its third year and is thus halfway through the project phase. Many of the planned technologies have been implemented in the three Lighthouse Cities Vitoria-Gasteiz, Tartu and Sonderborg, leading already to first replicable solutions. 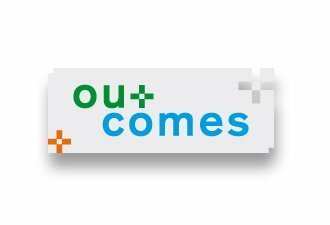 At the SmartEnCity website, the new “Outcomes” section provides an overview of these first project results. The task of the Follower Cities Lecce and Asenovgrad is to test the replication potential of the Lighthouse Cities’ implementations to provide first-hand experiences to other cities interested in becoming a smart city and in improving their CO2 levels as well. Once a city has become part of a EU-funded smart city project, the journey towards becoming a smart city, however, is not over yet: on the contrary, it has just begun. The Lighthouse Cities of SmartEnCity have to successfully complete certain steps throughout the course of the project which need to be documented in project deliverables (partly confidential and partly publicly available). The following thus provides an overview of the most important steps of a Lighthouse City (as an example for any city interested in this journey) on its way to becoming an actually smart city. More detailed information about SmartEnCity’s public deliverables can be found at the SmartEnCity section “Public Papers”. Some general prerequisites are that a city has to set a specific goal and define its ambition. Then, the first step of a Lighthouse City is to evaluate its current status and to define which areas or districts are in dire need for improvements and should thus be addressed first. This is done, for example, by defining specific KPIs for pre-intervention data collection. For an efficient city transformation, main barriers need to be identified as early as possible, regulatory gaps need to be reviewed and, of course, innovative technologies need to be adopted. In this regard, a “City-Visioning Workshop” forms the first step of an ambitious city to develop a specific Integrated Urban Plan together with a more detailed Action Plan. Additionally, recent experience has shown that an early involvement of citizens is crucial for successful implementation, especially in areas where citizens are directly affected, as it is the case with retrofitting of residential housing in all three Lighthouse Cities. The public deliverable “SmartEnCity Regeneration Strategy: New business models, procurement schemes and financing mechanisms for smart city projects” presents ways on how challenges on business models, public procurement and financing mechanisms can be overcome. The public deliverable “Review of regulatory gaps and recommendations to facilitate city transformation processes” highlights main barriers for city transformation and adoption of innovative technologies in the domains of urban retrofitting, energy supply, mobility, ICT and social engagement. Once these theoretical steps have been accomplished, actual work in the Lighthouse Cities can start by creating diagnosis and baseline reports for each city, which focus on in depth analyses for developing implementation strategies (see Deliverables “Vitoria-Gasteiz Diagnosis and Baseline“, “Tartu diagnosis and baseline report“ and “Sonderborg Diagnosis and Baseline”). At the end of the first project year, the Lighthouse Cities need to present their citizen engagement strategy and deployment plans as well as evaluation protocols to assess the performance and the status of the implementations carried out. Lighthouse Cities also need to present their city impact evaluation procedure that allows for an estimation of the overall impact and performance of the actions conducted at city level. It further helps to explain the impact of the integrated actions in the common areas of the energy, transport and ICT sectors. The second project year develops an in-depth theoretical analysis of Integrated Planning in Smart Cities, paving the way for a further “Integrated Urban Planning (IUP) and the Smart City policies evolution” application in the five cities of the project. Furthermore, monitoring programs regarding retrofitting, mobility and integrated infrastructure for the three Lighthouse Cities are developed. The longer the project runs, the more important becomes the role of the two Follower Cities. A replication toolkit aims to extend the experiences gained and lessons learned during the project to other cities. Through constant and intensive collaboration and exchange with the Lighthouse Cities, in SmartEnCity, Lecce and Asenovgrad are starting to implement and thus replicate the innovative solutions. This process demonstrates that things are often much easier said than done and that the implementation of successful solutions from the Lighthouse Cities might not go as smoothly in the Follower Cities or will have to be done a bit differently, especially since they are required to do it without EU funding. In Asenovgrad, for example, replication has been quite successful: 28 multi-family apartment buildings with 143,472 square meters living space and more than 4,700 inhabitants have been retrofitted and a municipal waste-water treatment plant is currently being built. The journey from a city towards becoming a smart city is not an easy one and requires many different steps (which, for SmartEnCity, will all be summarized in more detail in an update of the deliverable on “Integrated and systemic urban regeneration strategy” in late 2019). There is a strong community of other projects, cities, industry and politicians as well as the EU that supports the development and the creation of smart cities. Every step and every innovative solution counts, and every city once had to start somewhere. If you are interested in transforming your city into a smart city as well, have a look at the SmartEnCity project website, follow our updates as well as our Twitter channel and discover the outcomes section to learn more.